Do you suffer from permafrost of the toes? 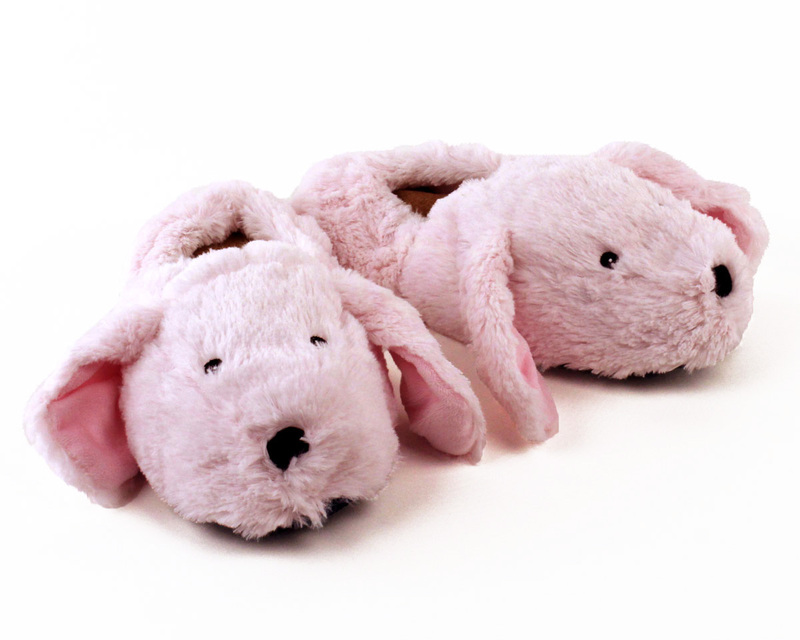 Imagine cuddling up with these cozy pink bunnies…not only are they cute and fuzzy, they’ll also keep your feet warm on a cold night! 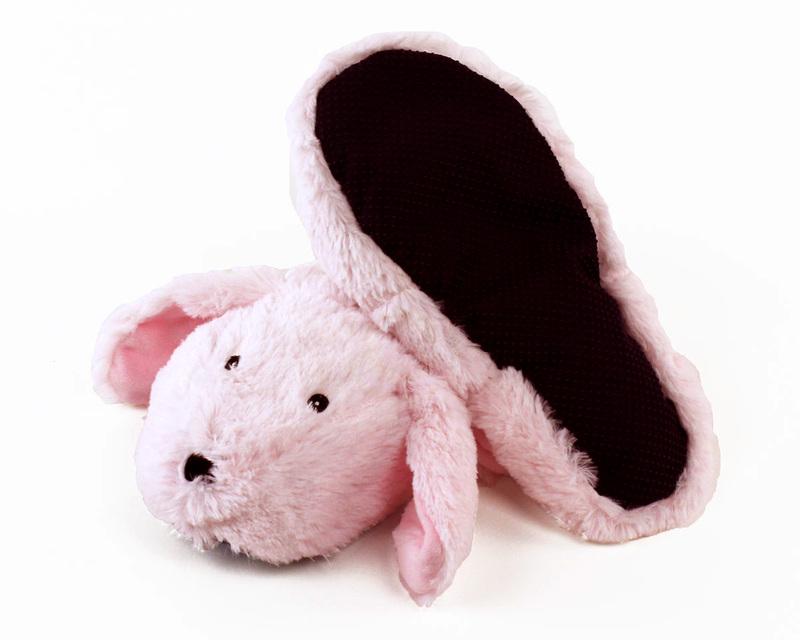 These footwarmers have a soft sole, so they're best for relaxing on the couch, not for walking around. These bunnies are fully microwavable for maximum coziness. Both the upper and sole are filled with specially treated millet grains and dried French lavender. Simply microwave according to the product instructions to hold in heat and release the sweet, relaxing scent of lavender. 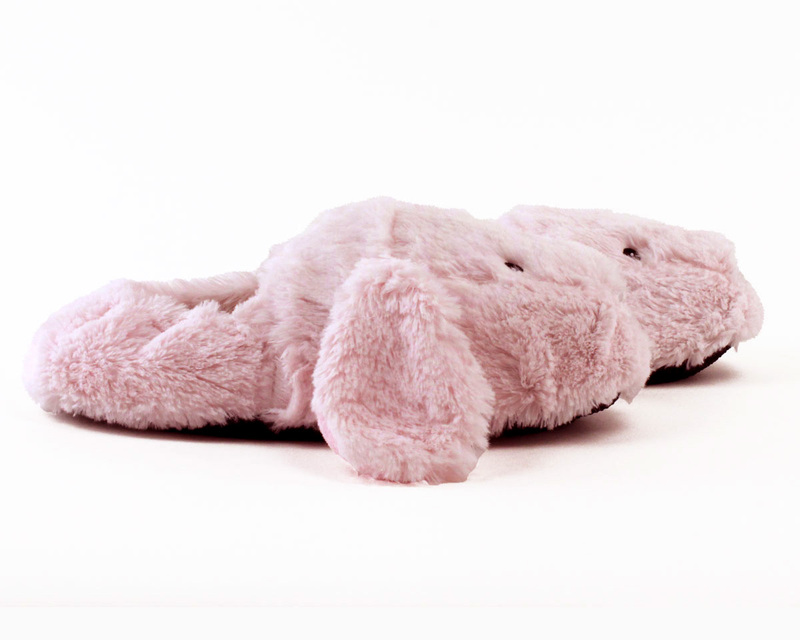 The bunnies feature floppy ears, embroidered eyes and nose, and light pink fur. 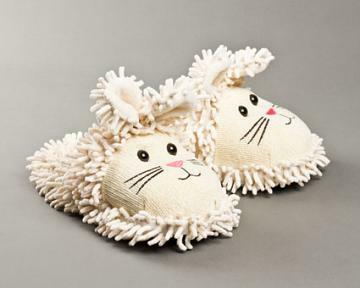 These are nice warm good smelling slippers. They are soft and cute. Not great for walking around or cleaning house, but really good for lounging around. Warning! Not for walking. Very heavy! Advantages: Great for lying around on the sofa and foot warming if you microwave them. 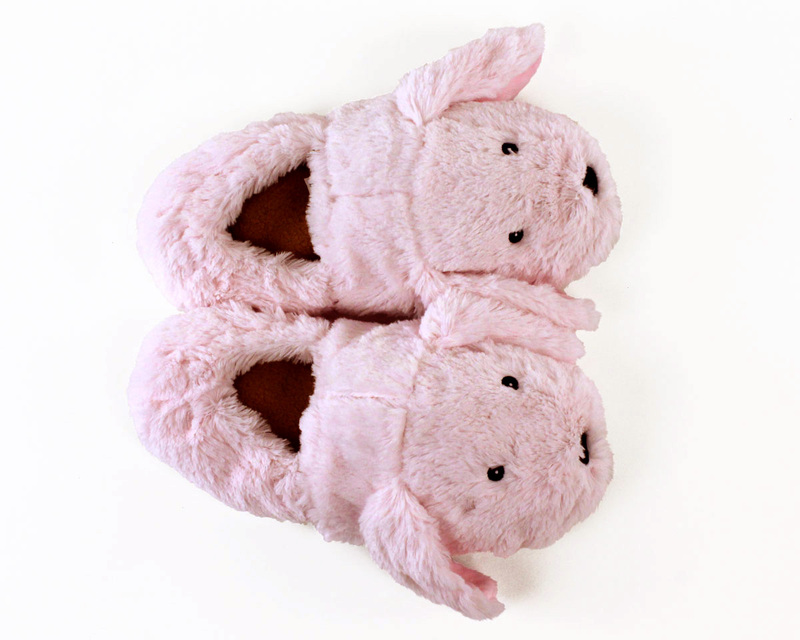 Disadvantages: Not for walking at all, they're really too heavy for anything but lounging around with toasty feet. They are amazing and super cute! My boyfriend had no idea what they were when I handed him the package. The shipping even came really early! Disadvantages: Hard to walk in, very heavy, feels like you are walking on sand or have sand in your shoes. Absolutely adorable! I purchased a pair for my granddaughter and myself. They wear well and I can walk in them fine. The jury is still out with my cat Sofie. She thinks she's the only animal member in the house. She goes by them and smacks them and then watches for action from the houseshoes. Advantages: I can walk outside and my feet will stay warm. They are easy to take off and they are easy to clean. Fit perfectly! 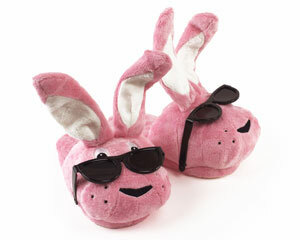 The slippers are great. My granddaughter will love them. Disadvantages: Can't walk around in them--according to your literature. Slippers are exactly as the explaination says. They are foot warmers, not house slippers. They are darling! More of a foot warmer than a slipper. 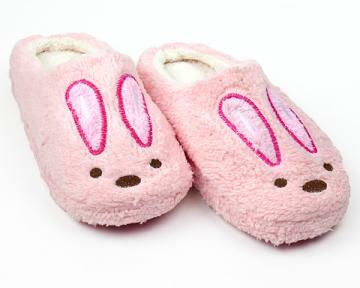 Advantages: These are very cute with the long & floppy ears. Disadvantages: It's like putting your foot into a bean bag that also smells strongly of lavender. It's impossible to walk in these because they are entirely squishy and heavy as well.